The eastern state of Odisha is dotted with many with Indian tribal villages. Odisha Tribal Village Tour concentrates on exploring such sensitive tribal civilizations with great fervour and interest. During the tour, one can find the tattooed faced tribals, brave Bondas, strange rituals and many other unique traditions of these unique tribes. The isolated tribal villages covered under this Odisha Tribal Village Tour include Itamati, Baliguda, Kotagarh, Rayagada, Chatikona, Jeypore, Ankadelli, Lamtaput, Lakshmipur, Taptapani, Narsinghpur and Pippili. The attraction of this tour besides this tribal trail is a tour through Bhubaneshwar, Udayagiri Khandagiri Buddhist ruins, Konark Sun Temple and Puri. Towards the end of this enriching tour, the journey leads a traveller to the Asokan Edicts at Dhauli Hill which are reminiscent of mass killings by the Emperor; that changed his mindset and inspired him to embrace Buddhism. Upon arrival in Bhubaneswar, meet Incredible India tour representative for assisted transfer to the hotel. 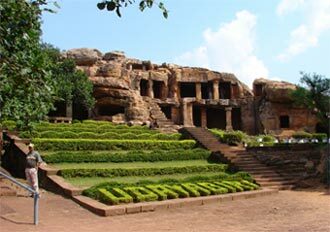 After check in, proceed for a half-day tour towards 2nd century B.C Jain Monk Caves at the twin hills of Khandagiri & Udaygiri and Tribal Museum, etc. the visit to the museum gives a glimpse of the state's tribal art, culture and lifestyle. Return to the comforts of the hotel in Bhubaneswar for overnight stay. Drive to Baliguda after breakfast. Baliguda is in the district of Phulbani, through the beautiful countryside road full with small mountains of Sal forest. Baliguda hosts a number of semi-tribal villages and forms a comfortable entry point to the tribal tour of Odisha. Enroute Baliguda, visit Weavers' Village at Itamati which is a marketplace village. Here, a number of tribals display their weaving skills in the form of artifacts. Also visit some typical Odishan villages. Arrive at the hotel in the evening stay there for the night. Today after breakfast you will make a visit to the Baliguda. Here, the tourists get to walk through the rich tribal villages of the region. Surrounded by Sal Forests, Baliguda is a home to tribes like Desia Kondh and Kutia Kondh and serves as a prominent base for tribal tours in Odisha. Tourists can trek short or long distances and delve into tribal village's cultural fervour. Overnight stay at Baliguda. After breakfast, depart to Belghar area. Here also, tourists get to visit few of Kuttiya Kondha Tribal Villages (the largest and the most prevalent Odisha Tribe) & Weekly Market at Kotagarh. Kotagarh is also famous a wildlife sanctuary rich in bio-diversity. Major dwelling wildlife species here are tiger, elephant, gaur, spotted deer, sambar and a variety of reptiles. Optional excursion to Kotagarh Wildlife Sanctuary. Lunch on the way. Drive down to Rayaguda. Arrive in the evening & spend the night at Hotel. Trek to most primitive Dongria Kondh villages in the Niyamgiri hills, accommodating more than 8,000 tribal people. They have conserved and preserved the quality of dense forests and unusually rich wildlife of the hills. A visit to these villages will surely enrich the travellers about their environment friendly ethics. After visiting the villages, visit the Chatikona Weekly Market. Here Doms, Desias and Dongoriya Kondhas sit up weekly and click the barter deals. Looking at the tribals in transaction is surely an interesting event. Later drive on to Jeypore. This town is known for its waterfalls, green forests and aboriginal tribal folks. Enroute Jeypore, visit Kani tribal village. Overnight in Jeypore. In the morning, visit approximately 6000 members of the fierce Bondas at Ankadeli. They are semi clothed tribes, stay in the remote hills and keep themselves isolated from the rest of the world and work together to earn livelihood. Here, photography is strictly prohibited. Also, visit the areas thrived by Godabas, Parajas and Mali tribes. In the afternoon, drive back to Jeypore and on route; visit the pottery village of Bapaniguda and other tribal villages of Siriguda and Paraja at Lamtaput. Overnight in Jeypore. After breakfast, we proceed to witness the biggest tribal weekly market set up by Sanaparoja & Mali tribes in Kunduli Village, located 65 km away from Jeypore via Sunabeda. Later drive down to Nandapur to visit village of Sanaparoja tribes. Also, visit other villages of Khilua, Bada Padar, Saana Padar, etc with small trekking and later drive down to Jeypore for overnight. Drive to Machkund, famous for hosting Duduama waterfalls, also known as the "Matsya Tirtha" is based in its majestic hills. Also continue towards a soft trek to primitive Boro Gadaba village. Here, the tourists even get to view the traditional dance called Dhemsa. On route to Jeypore, visit Lamtaput market. Overnight in Jeypore. After breakfast, check out Jeypore for another enlightening experience at Rayagada. Enroute visit Desia Kondh / Paraja village. Also, visit the famous Jagannath Temple & Tribal Museum at Koraput. Overnight in Rayagada. Next day, continue to Chilika, enroute visiting Soura tribal village and local market. Also visit, Taptapani, the site for curative hot water springs. Many locals come here to receive curative bliss at warm waters of Taptapani. Later, continue to Chilika for overnight stay. In the morning head for a boat ride into Chilika Lake, the largest brackish water lake in Asia. This natural lagoon ecosystem spread over 600 sq km hosts a million plus migratory birds – including herons, cranes, flamingos, etc. 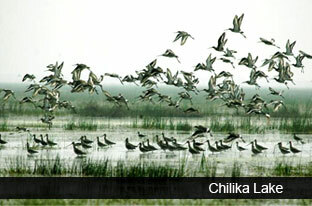 A visit to nearby fishing villages at Chilika Lake is also scheduled. After Chilika tour is over, reach Puri via Birnasingpur, Tenta. On route, visit Tangi village near Chilika and enjoy their extended hospitality. In the evening, relax on the beach in Puri and also stay here overnight in hotel. In morning, visit the spiritual spire of Puri, Lord Jagannath Temple (Only Hindus allowed) OR optional visit to serene Puri Beach. Later drive to Konark (about 35 km) and visit the world heritage site of Konark temple dedicated to Sun God. In the afternoon, visit artisan villages at Ragurajpur. Return to Puri for overnight stay. Proceed to Bhubaneswar, enroute visiting the colorful village of Pipli, known for its creative appliqué craft utilizing small mirrors on wall and door hangings. Still many local families use this art as a source of livelihood. 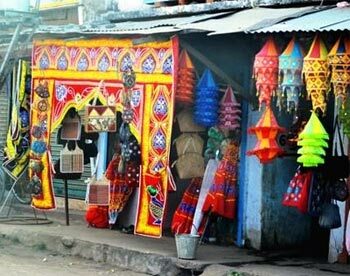 Also, here tourists can also purchase colorful Odishan handicrafts. Continue to Dhauli Peace Pagoda famous for the Asokan rock edicts. Dhauli during the time of Emperor Ashoka was known as Kalinga which witnessed the massive bloodshed during the time of the war. This changed the heart of the king who immediately embraced Buddhism. Present day Dhauli is known for edicts carved on to a large rock. The rock is now protected by a grill-fronted building and on top of a hillock is a carved elephant. Also, visit the nearby White Shanti Stupa or Peace Pagoda established by Japanese. In the noon, visit some of the ancient temples in the temple city of Bhubaneswar, the capital of Odisha / Orissa built during 7th-11th century AD. This includes a visit to Lingaraja temple, Parasurameswara temple, Mukteswara temple, Bramheswara temple, Raja-Rani temple, etc. Overnight in Bhubaneshwar. After breakfast, transfer to Bhubaneshwar Airport and board connecting flight to Delhi or onward destination.